Be the first to hear about their new releases and deals. Download the Booksprout app and search for A.B. Michaels today! A native of California, A.B. Michaels holds masters’ degrees in history (UCLA) and broadcasting (San Francisco State University). 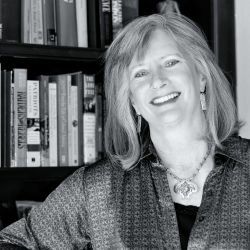 After working for many years as a promotional writer and editor, she turned to writing fiction, which is the hardest thing she's ever done besides raise two boys. She lives with her husband and two spoiled dogs in in Boise, Idaho, where she is often distracted by playing darts and bocce, learning pinochle, and trying to hit a golf ball more than fifty yards. Reading and travel figure into the mix as well, leading her to hope that sometime soon, someone invents a 25+ hour day.